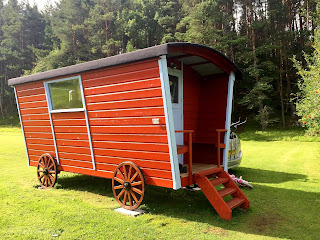 Wildcat Gypsy Caravans are based in a peaceful and remote site just three miles from Newtonmore in the Scottish Highlands and Islands. 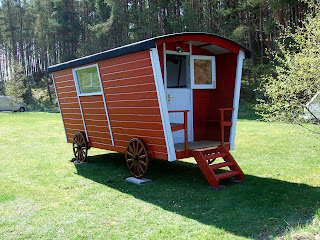 Wildcat Gypsy Caravans, Etteridge, Newtonmore, Inverness-shire (Sleeps 1 - 6). Being located within the Cairngorms National Park there is always to do including golfing, fishing, walking and cycling. 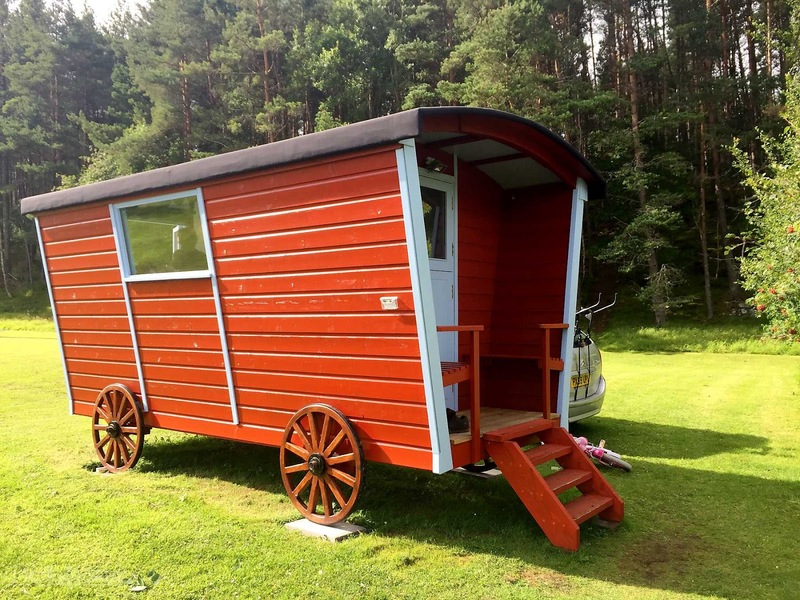 Our 14ft gypsy caravans (standard gypsy caravans are only 9ft) are equipped with a 240 hook up, pull out double bed (6ft length) and space to sleep a child, possibly two underneath the double bed. There is seating for four, an electric log effect stove for cosy nights when the temperature drops or a fan for cooling down on warm summer nights. There is a gas cooking stove with grill, a small fridge, a small sink and cooking utensils and crockery - there is also a CD player to listen to some relaxing music as you sit out on the porch area enjoying the view with a glass of wine or cool beer! 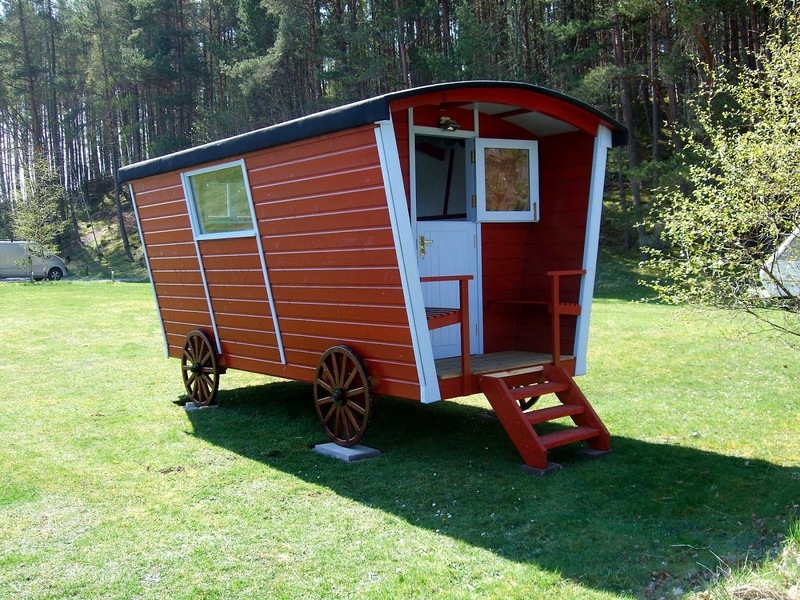 Although there is no shower or toilet in the caravans the campsite has good shower and toilet facilities, as well as a washing machine, tumble drier and washing up area. Sleeping bags and towels can be provided if required for an additional charge of £10 per hire.